Paulton resident Dan James has been promoted to the position of manager at business rescue and recovery specialist Begbies Traynor. Working out of the award-winning firm’s Bath office, Dan’s promotion follows the successful completion of his insolvency exams in 2013 which qualifies him to act as an insolvency practitioner. 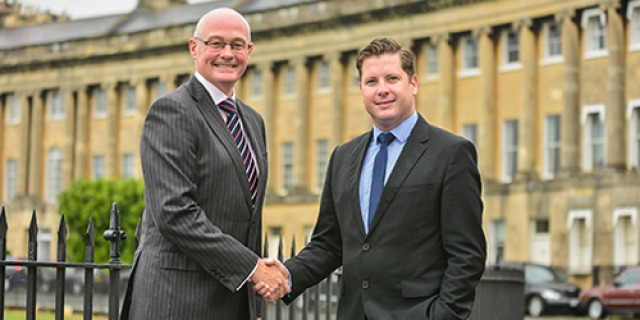 Neil Vinnicombe, the local Partner in Bath, said: “Dan has gained in confidence and demonstrated his all-round skill set during the three years that we have worked together. Dan’s new position means he will take on more demanding cases and play a key role in the growth of the Bath office. For Dan, who chairs a weekly breakfast meeting of the Bath Business Club, the news is cause for a double celebration, as his career success follows hot on the heels of the birth of daughter Ayla Penelope. Outside of the office environment, Dan is an avid Bristol Rovers fan and plays in goal for his local club. He also enjoys cooking and clay pigeon shooting. Begbies Traynor’s South West region, of which Bath is a key office, last year won South West Regional Insolvency Practitioner Firm of the Year award in the national Insolvency and Rescue Awards. Neil joined Begbies Traynor in 2003. He successfully sat the JIEB exams in 2005 and is a Licensed Insolvency Practitioner. He has 29 years' insolvency experience having previously worked at KPMG, Ernst & Young and Grant Thorton in Bristol. He has a broad range of experience in Corporate Recovery and Rescue and works from the Bristol and Bath offices.